Hands On Science Curriculum that will Make Science Fun Again! You are here: Home / Science / Hands On Curriculum That Will Make Science Fun Again! Science curriculum gave me a bad taste in my mouth and I’m going to tell you why… it was either insanely overpriced (for just one grade mind you, and I needed 3) or boring as all get out. I was beginning to get discouraged with the whole idea, Science was supposed to be fun right? When I first heard about Master Books I was skeptical, how on earth could a $40 curriculum be comprehensive enough for a whole year? For multiple grade levels? The more we used the Science Starters curriculum, the more I fell in love. I have never, in all my days as a homeschooler, found a curriculum that was more in-depth, fun, easy to use, and affordable and I know you are going to love it as much as we do! Keep reading for your exclusive coupon code! When you hear hands on, you might be suffering the same inner battle that I am, “Just HOW hands on is this? How much work will it be?” I mean, we are busy homeschool moms, and while we want our kids to benefit from hands on, we don’t have time for an insane amount of prep, shopping, set up and clean up, am I right? You’ll be as excited as I am to hear that the Science Starter sets are open-and-go. They are set up to give both you and your children the best of both worlds. There is an easy-to-follow guide, you only do the lessons 2-3 days a week, each lesson clearly lays out what supplies you will need (plus the parent lesson planner has a super easy full year checklist at the back so you can do all your shopping at once), AND all your tests and quizzes are included in two different levels to accommodate multiple grades. A typical week is a mixture of reading and exploration (through an investigation activity) with quizzes and tests interspersed throughout. There are lots of pictures and the text is interesting and engaging, not another boring textbook. There are multiple activities and hands on experiments to choose from, but you don’t have to do them all. You can pick and choose based on your interests, your desired focus, and what works for your family. The program comes with 6 books and your Parent Lesson Planner. The parent lesson planner is your guide/weekly schedule which has room for you to assign a date, check off when it has been completed, and mark a grade. It also includes all your quizzes/tests and answer keys written in two different levels. Level 1 quizzes are recommended for grades 3 to 4, and level 2 for grades 5 and 6. Then you have two sets of curriculum books. You spend half of the year on each subject. Of those two sets, each one has three books (are you with me?). One is a teacher guide, one is a text book full of pictures and information and one is your student journal. You will need 1 student journal for each child that is able to write and wants one. You only need 1 Parent Lesson Planner (PLP) for your whole family, because Master Books allows you to photocopy their PLP’s for your immediate family. The student journals have lots of room for observations, children draw pictures and take notes of what is happening in their experiments and lessons. It asks questions to help children process what is happening and expand on what they have learned. The teacher’s guide is amazing because it includes pictures of all the pages in the textbook. 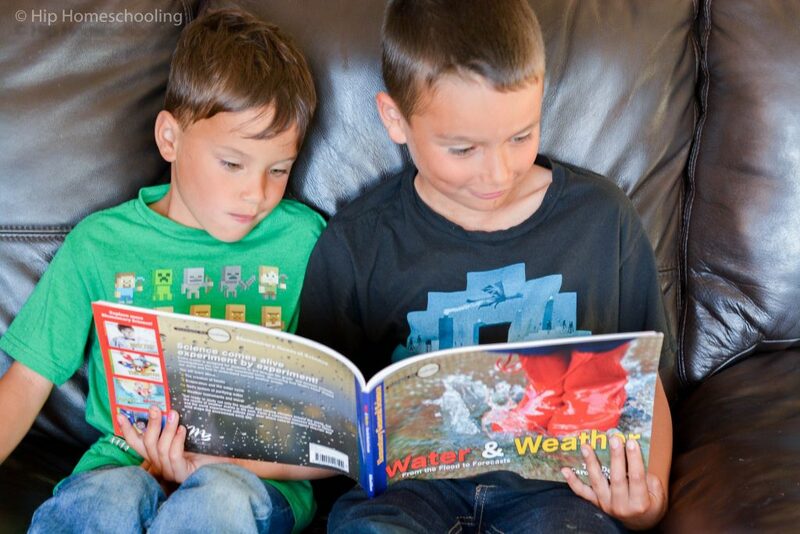 This means that your child can have their book in front of them with beautiful, full color pictures, while you can see what they see and help them read or even read to them! 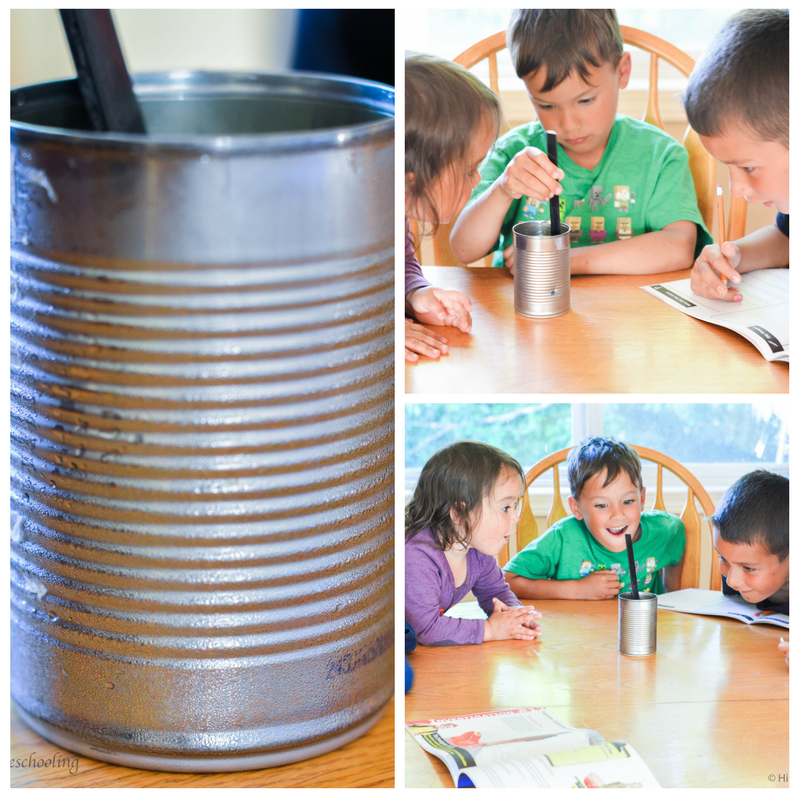 Great for visual or auditory learners! It shows you what you need to gather, explains the lesson objectives and any notes you might need. It also answers the questions that are in the student journal in the “What did you learn section” so that you can help your children if they get stuck. So, what makes it different from all the other ones? 1. The price. It is about $40 for an entire year of curriculum! PLUS get an additional 5% off using my exclusive coupon code (ends in just a few days) REBECCASFRIEND. 2. The flexibility. 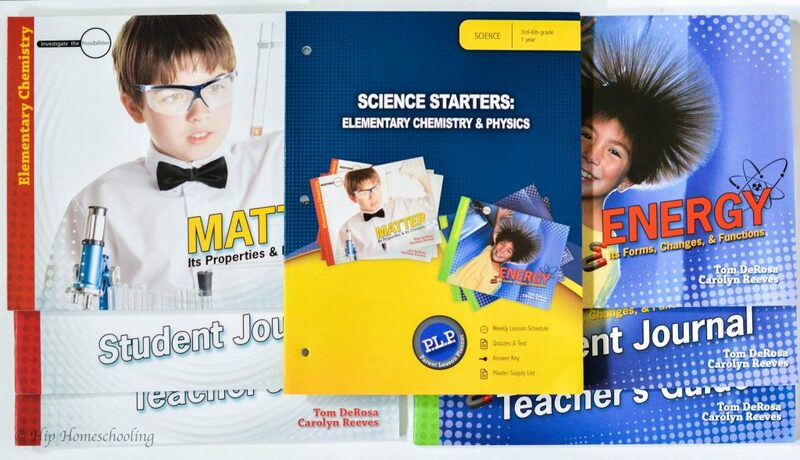 The Science Starter sets are designed to be used with grades 3-6 but you can use this with a large age range. This means you can use it for multiple or even all of your children in your family. We are using this for our grade 1-4 children, even our preschooler and toddler are involved! The idea is that this is a whole family approach. Rather than separating all of your children you get to learn in a group environment. This means less teaching for mom, and more family style learning. 3. The open-and-go format. The easy to follow guide tells you exactly what to do each day. I like to put that in my Master Binder to refer to throughout the weeks. Then I can open my Teacher’s Book and follow along with my child. The easy gather list helps me formulate what I need based on what we want to get involved with. It is virtually prep-free and not super time consuming! 4. The fun. 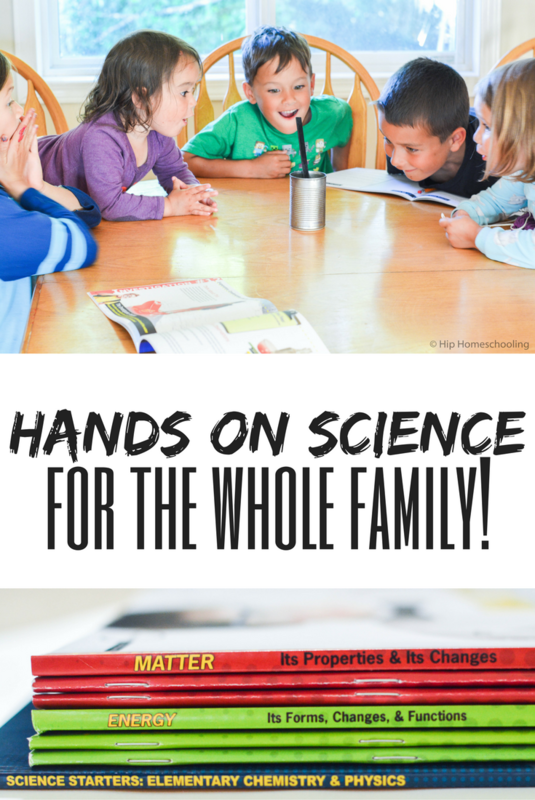 Here’s what it all comes down to, we want a fun science curriculum that is going to blend teaching that is easy for mom but still fun and engaging for our kids. 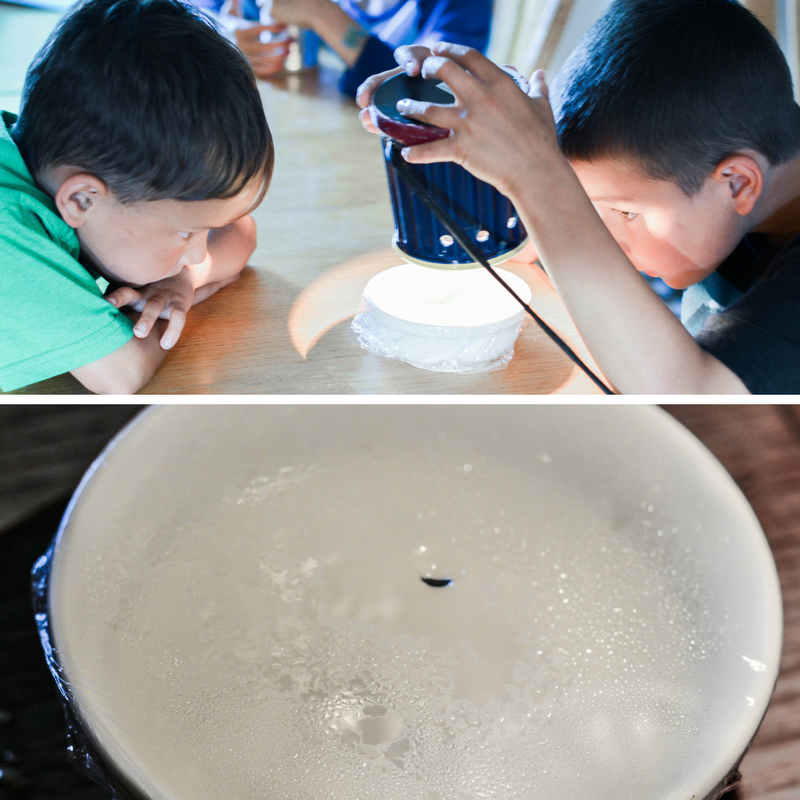 We want to spark their imaginations and inspire them to explore and ask questions. This program does that above all else. Through experiments and activities that are designed to whet your children’s appetites, they give them just enough information to get them started and motivate THEM to dig deeper! Which Science Starter set should I choose? There are three different sets available on Master Books right now. One is General Science and Astronomy, one is Chemistry and Physics, and the third is Physical and Earth Science. Choose based on what you need or want to learn this year OR based on your child’s interest. What grades is it recommended for? The official recommendation is Grades 3-6, however because of the flexibility of the program, you can really expand this for any elementary grade. Your younger children would just listen and participate in the experiments while your older children might do the tests/quizzes/worksheets. How long do they take? Each Science Starter set is 1 full year of curriculum. 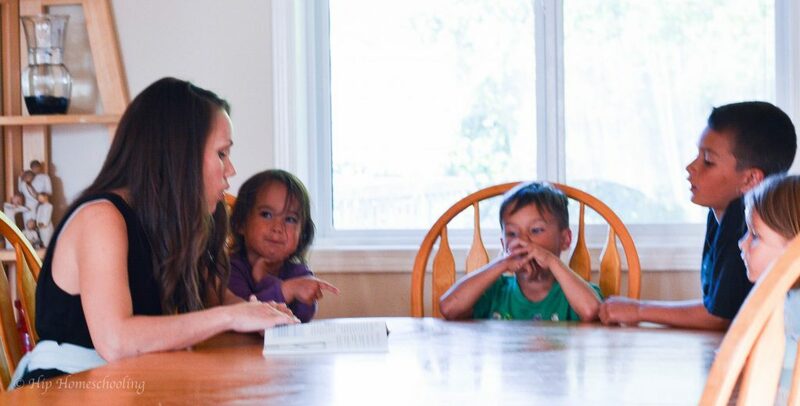 The lessons can take anywhere from 20 minutes to 45 minute depending on how many questions your kids ask and how in-depth you are going, what activities you are doing, etc. What do I need to purchase? The complete set is enough for 1 student, if you have more children that are in the grade 3-6 range, you will need to purchase an additional student journal for each child. These are available either as physical copies or digital downloads depending on your preference. (As a price point reference, I looked up one of the books, the digital download for the student journal was $2.99, the physical copy was $3.99!) 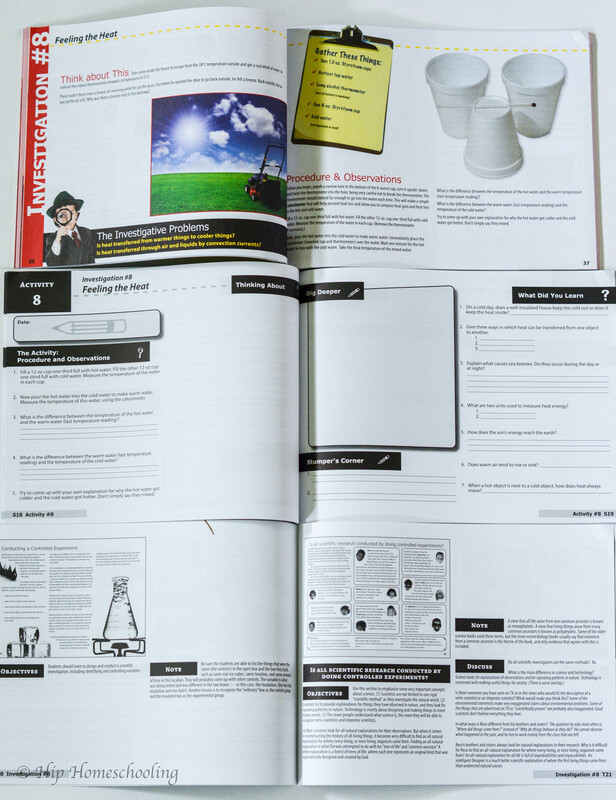 You only need 1 of the other resources, as the Parent Lesson Planner can be photocopied as needed for your students. Are these secular or Christian based? This is a Christian curriculum, 100%. Every lesson will mention God in some way and point to Him, that is one of the key components to Master Books curriculum: growing your child’s faith through everything they do. You can purchase the complete sets HERE. Don’t forget to use your exclusive coupon code for 5% off: REBECCASFRIEND and check out some of the other curriculum options they offer. They have curriculum from preschool all the way to adult, and there are bundle discounts available as well as free shipping over $75. Take an Inside Look In this Video! 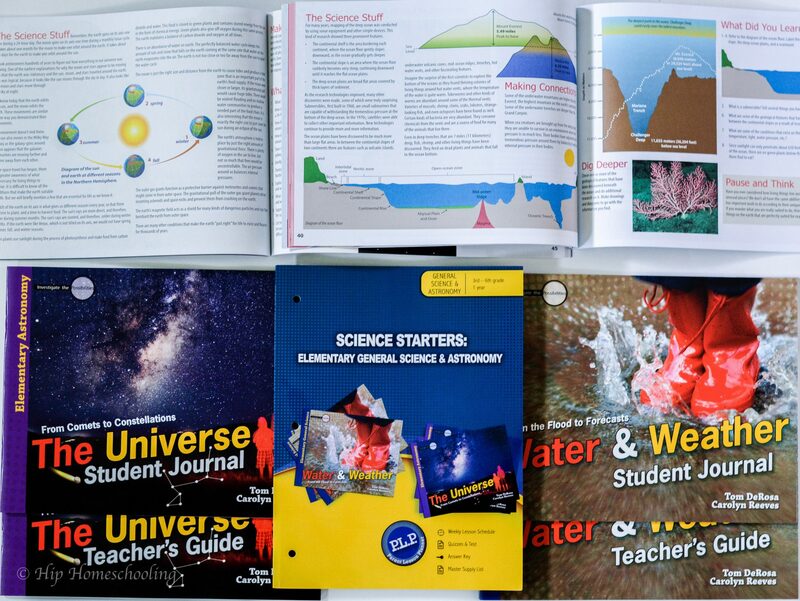 Science Curriculum Designed for YOU!Looking for a science curriculum? Check out this one we are using! It works for multiple ages, all learning styles, and is SO easy for you, open-and-go (my favorite). Don’t forget to use code: REBECCASFRIEND on masterbooks.com and stay tuned a complete lesson review with pictures next week! Hello. I am intrigued by this curriculum. Would it work to teach in a co-op setting?